Marie Betts-Johnson is an internationally recognized consultant, speaker and columnist. She has been featured The San Diego Business Journal, Success Magazine, Oxford University, RSVP Magazine and National Speakers Association to name a few. She is also a regular guest on numerous radio and television stations including KPBS, KUS, Fox Channel 5 and ABC Channel 10. She has over twenty years’ experience in protocol training and development and has been retained to train Chiefs of Protocol from both the Middle East and United States Governments. Clients have ranged United Nations (Ambassadorial level) to diplomats, CEOs Chiefs of Protocol to IBM, Gucci, Pfizer and City of San Diego, CA. 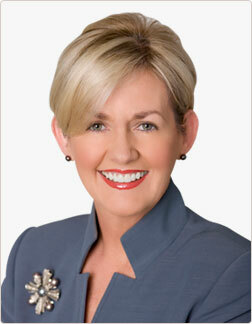 Marie is the Founder and Director of the International Protocol Institute of California®. Her goal is to expand the sphere of global diplomacy utilizing the power of protocol and cross-cultural intelligence. Before that, she worked as Director of International Relations Office on behalf of the World Trade Center San Diego, California and had the opportunity to host royalty, ambassadors, clients and delegations. She had the great honor of serving two years on the Staff of the Late King Hussein and Queen Noor for Jordan, where she had the opportunity to interact with dignitaries and royalty from all over the world. Ms. Betts-Johnson was further chosen to act as Protocol Coordinator for the Washington Diplomatic Corps during their visit to San Diego, California. The International Protocol Institute of California® now has offices in Dubai, where she is partnering with the Levenbert Training Academy, to present protocol programs to government officials, dignitaries and business professionals in Dubai and the Gulf region.